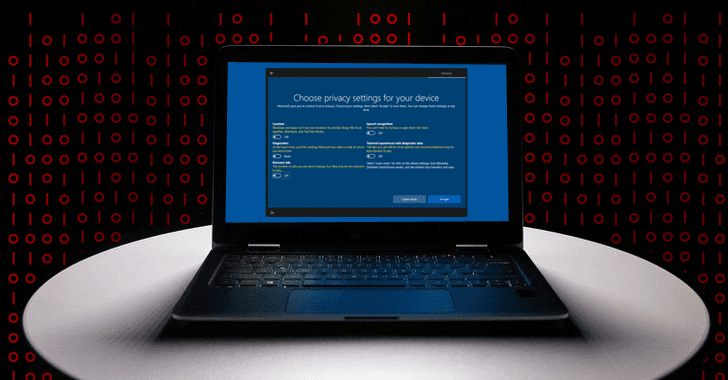 Since the launch of Windows 10, there has been widespread concern about its data collection practices, mostly because Microsoft has been very secretive about the telemetry data it collects. Now, this is going to be changed, as Microsoft wants to be more transparent on its diagnostics data collection practices. 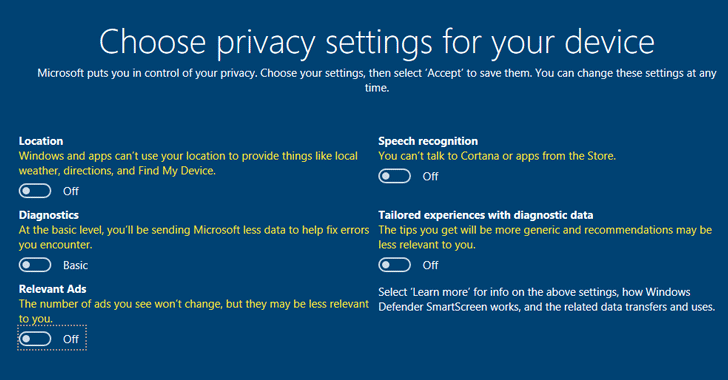 Till now there are three options (Basic, Enhanced, Full) for Windows 10 users to select from under its diagnostics data collection section, with no option for users to opt out of sending their data to Microsoft. Also, the company has never said precisely what data it collects behind these options, which raised huge privacy concerns among privacy-conscious users. But now for the first time, Microsoft has revealed what data Windows 10 is collecting from your computer with the release of the Windows 10 Creators Update, bringing an end to nearly two years of its mysterious data collection practices. 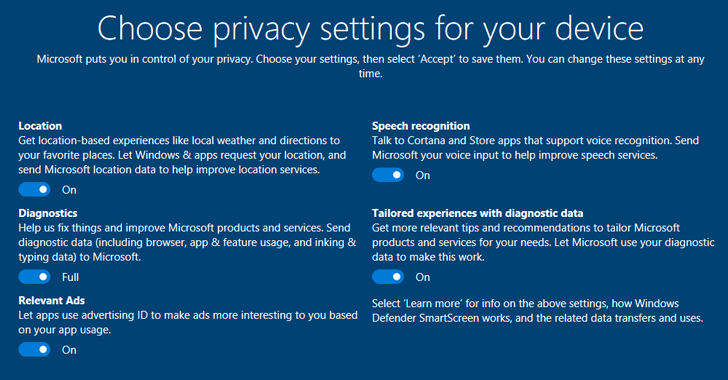 Location – Allow Windows and apps to request your location and share that data with Microsoft. Speech Recognition – Allow Cortana and Windows Store apps to recognize your voice and send that data to Microsoft to improve speech recognition. Tailored experiences with diagnostic data – Allow Microsoft to use diagnostic data from your computer to offer tips and recommendations. Relevant ads – Allow apps to use advertising IDs to show ads more interesting to you based on your app usage. What's more? On Wednesday, Microsoft published a massive list of diagnostics data – both the Basic and Full levels of diagnostics – on its TechNet site, showing what data gets collected. Basic – The Basic level collects a limited set of data that is critical for understanding the device and its configuration. This data includes basic device information, quality-related information, app compatibility, and Windows Store. Full – The Full level collects data for the following nine categories: common data; software setup and inventory data; product and service usage data; browsing, search and query data; content consumption data; linking, typing, and speech utterance data; and licensing and purchase data. Windows chief Terry Myerson said in a blog post published Wednesday that Microsoft hoped the transparency would allow users to make "more informed choices" as the company starts rolling out its new Creators update to the operating system. This more transparency in gathering diagnostic data after two years of the Windows 10 release is likely Microsoft's response to European Union regulators that's publicly pressuring the company about its privacy practices for the past year. In February, European Union regulators said they're still unsatisfied with the privacy changes announced by Microsoft and seeking further clarification from the company. Marisa Rogers, the privacy officer of the Microsoft's Windows and Devices Group, said that the company is planning to "share more information about how [it] will ensure Windows 10 is compliant with the European Union's General Data Protection Regulation."